On Sunday, January 20, 2019 Annette Brown with family by her side was called home to be with the Lord. Annette was born on May 29, 1937 in Little Rock, AR to the late Emmett and Carrie Galloway. transitioned into a career at University Hospital as a compassionate nurse’s aide. Later on doing domestic work until retirement.. Her passion and commitment to caring for others was evidenced in her daily life. Annette was a friend, confidant, encourager and sounding board for many people throughout her lifetime. She made a difference in the lives of others and allowed them to see the good in her. All who knew her had the amazing opportunity to experience her wise, inspirational, and comedic outlook on life. She was a fan of the Ohio State Buckeyes and the Cleveland Browns. Most of all, Annette loved seeing her family and friends together surrounded by love, laughs, food and music while remembering the precious times. Annette was truly blessed. She is preceded in death by her parents Emmett and Carrie Galloway; brothers William Galloway, Norman Galloway, Emmett Galloway, Alzono Galloway; daughter Rolanda Ford; son William (Billy) Brown. 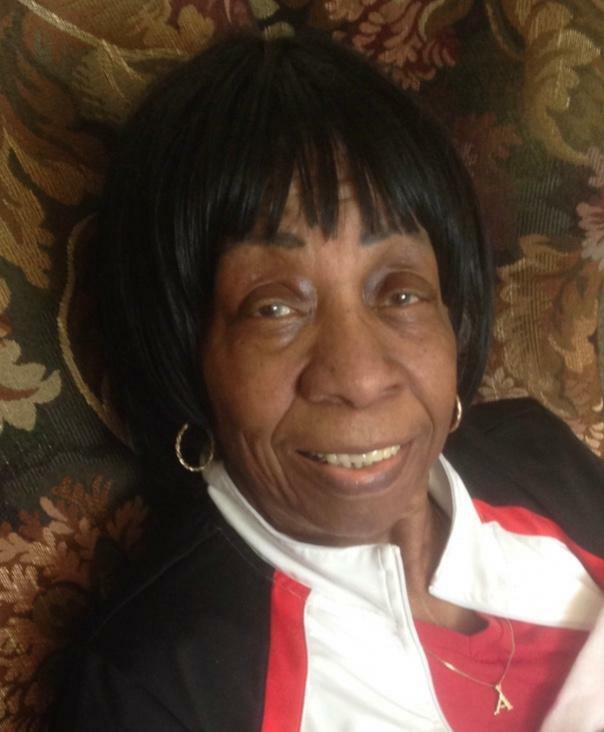 She leaves to cherish her memory sisters Gladys McClain, Joyce Heard; sons Fred (Mary) White, Gregory (Patty) Brown, Gary Brown; 16 grandchildren, 29 greatgrandchildren, 4-great-great grandchildren and a host of nieces, nephews, cousins and other loving relatives and friends. Visitation 11:00am and Funeral 12:00pm Friday, January 25, 2019 at Refuge Baptist Church 400 N. 20th St., 43203. We can’t begin to imagine what you are feeling, but please let us share our heartfelt condolences. May the support of family and friends be a source of strength and the God of comfort a refuge in your time of need. With caring thoughts. Just know that Miss Annette has her wings and God bless you all. I am sending my thoughts and condolences to the Brown family. Annette meant a lot to our family for many years and I have very fond memories of her. We had a lot of laughs together. I’m sending my sincere condolences to the Brown family and friends. This is one of life’s greatest challenges that we have to face. Jesus said, did, and promised something that gives us comfort and hope. In the Bible at John 11:11-14, Jesus likened death to sleep. This comfort us in two ways: 1) we are assured by those words that our loved ones are not suffering or in pain. 2) If a person is just sleeping, he will wake up! Notice what Jesus does next at John 11: 43-44, this is amazing! If you would like to know more details about this, please download a free copy of the brochure Good News from God @ Jw.org and read lesson 6 along with the Bible. To the Brown family. My heart is with you and your family at this time of your loss. There is comfort in knowing God’s promises about the resurrection hope. (Acts 24:15) and (John 5:28,29) In the past God has resurrected humans and He is eager to do it again because He hates death. (Mark 5:41-43) To learn more about God’s promises go to JW.ORG. There are online Bible study lessons featured and more. Love Your Neighbor Irish J. Richardson. I am deeply saddened by the loss you and your family have encountered. My condolences. I appreciate what Lady Annette Brown did to help further KPCLA in the past.